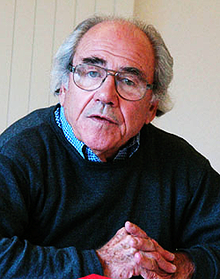 Jean Baudrillard (/ˌboʊdriːˈɑːr/; French: [ʒɑ̃ bodʁijaʁ]; 27 Julie 1929 – 6 Mairch 2007) wis a French sociologist, filosofer, cultural theorist, poleetical commentator, an photographer. ↑ See How to pronounce Jean Baudrillard. This page wis last eeditit on 28 September 2018, at 06:42.